Platinum is one of the earth’s most rare elements. It is more commonly found in meteorites and on the moon than it is on earth, and so places of meteorite impact like the Sudbury Basin in Ontario Canada have higher abundances of platinum than the rest of the world. It occurs naturally in some rivers, and was used in pre-Columbus South America by natives to make artefacts, and these deposits are still used today as a source of platinum. It is often found as part of an alloy with either copper or nickel. 80% of the world’s platinum is found in South Africa, 11% in Russia and 6% in North America, and only a few hundred tonnes of it are produced annually which contributes to its high value. Platinum is sometimes mistaken for silver due to its colour. It is the least reactive metal and tends not to corrode, even when exposed to high temperatures. King Louis XV declared it to be the only metal that was ‘fit for a king’ – the Queen Mother clearly agreed, and had the frame of her crown made of platinum when she was coronated as King George VIs consort. Platinum is a heavy metal and as such can lead to health complications – the eyes, nose and throat are prone to irritation after short term exposure to platinum salts. Long term exposure can cause some respiratory and skin allergies, but even so platinum is less toxic than some other heavy metals. About 51% of platinum goes into making jewellery. This means that trends and changes in buying habits can quickly cause a price hike or drop. Most of the rest of the world’s platinum is used in the making of catalytic converters and fuel cells. Increasing uptake and use of green technologies has not yet had much of an impact on platinum demand, but it is extremely likely. 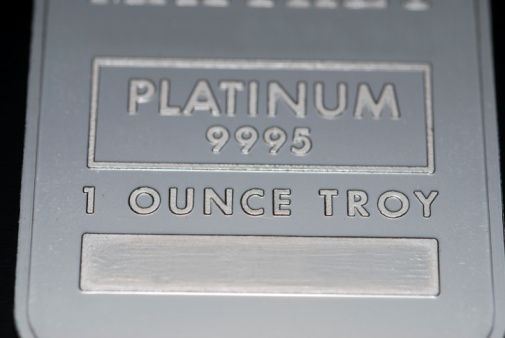 Economic climate plays a huge part in platinum’s market price. In periods of growth platinum can fetch up to twice as much as gold, but due to decreases in industrial demand during slower periods it can drop beneath the price of gold. In 1920 platinum was worth up to eight times as much as gold. Platinum is increasingly used in chemotherapy, as some of its compounds have been discovered to be extremely effective in the fight against cancer, in spite of some side effects. It shows a promising future in this area. It is also used in chemical refinement and electronics. 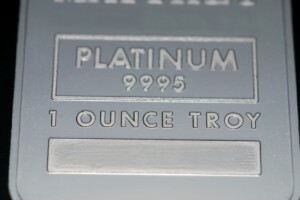 The supply and demand of platinum can fluctuate wildly, meaning that platinum as a commodity can be fairly risky. For some though, this only adds to the excitement of using it to trade as it can create fantastic opportunities for profit – and loss. If you’re looking for something a bit less volatile you might be better off with gold, or even copper. Because of the changeability of platinum on the markets it is difficult to predict the future of platinum prices. Recent strikes in platinum mines in South Africa might affect the price of platinum, but whether it spikes or drops will depend on many other factors including how quickly the labour issues can be resolved.